Millions of people want to work from home, thereby raising their lifestyle. Many are having great success! The problem is a lot of people are falling into one of the 10 categories below. Once this occurs the chances for failure increase dramatically. 1. Joining a program promising unbelievable income levels with no track record. We have all seen the ads promising the moon yet having no proven track record of people having success. 2. Not doing proper research or using a website that has done so for you. You must research work at home opportunities thoroughly. I suggest using a website like mine, but not necessarily mine, that has done some level of research for you. 3. Joining a program that does not offer step-by-step guidance on how to use the programs it offers. It is essential to your success that you have the proper training to ensure you can start earning money quickly and will be successful long term. 4. Joining programs simply because you see them hyped in a forum. You can get good information on forums such as payment track records, quality of the program itself and customer support. You do have to be careful, because many scam artist make quick posts in forums hoping to sucker in folks that have a need for cash now. 5. Joining programs that are received by E-Mail without you subscribing to a mailing list. We have all seen these Spam emails. If you have not signed up for a newsletter, yet you get an offer hyping a program, I would immediately delete it. This is a major pit fall. 6. Joining programs that do not have a track record of timely payments. It is important when doing your research that you ensure that you pick programs that have a proven track record for making timely payments. 7. Joining programs that do not have a proven track record of success. In addition to the timely payments, it’s a plus to join programs that have been proven over time by individuals having success. 8. Avoid joining programs that don’t offer a money back guarantee. It is not always possible. There are a few good programs that do not offer money back guarantees, but you should look for this money back guarantee when possible. 9. Picking a program that does not match your skill sets. This is something I go over all the time in my articles. Many people fail because they join programs that pay a lot, but when they get down to doing the work from home they think they don’t have the proper skills to do the task required. I think they do in most cases, but lack the confidence to try. 10. Picking a program that far surpasses your comfort level. It’s important to pick a program that fits in your comfort zone. I always suggest joining 2-3 programs, working them for a while, then focus on the ones you enjoy most. You may say that sounds expensive, but it really costs less then going out to a nice dinner one evening in most cases. In summary you can make money working from the comfort of your home. You need to avoid the areas listed above, do your research, narrow down your choices and start working. You are your own boss! You pick the days, the hours and the amount of time you spend working at home. Now remember this, you are the boss, but if you don’t do any work from home then you won’t make any money working from home. 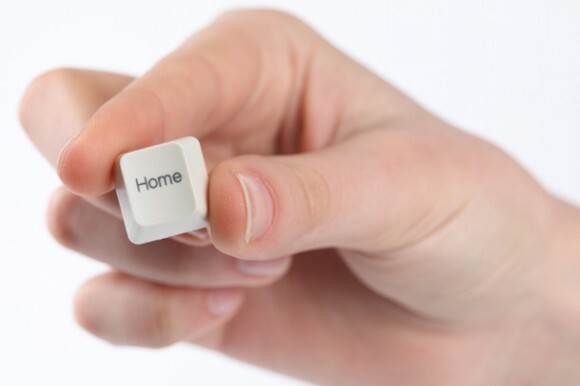 The tools required to work from home for money are more than likely already being used by Internet users every day. It’s simple, you will need a computer, access to the Internet, a printer and some free time. Please feel free to read both this article or one of my many others by visiting my link in the resource box below. I always enjoy getting emails pertaining to my articles or my site. Your feedback is important to me. Why not give yourself a chance and go for it. Take the steps to enjoying life at a higher level. I can tell you in, my opinion, it is well worth it. The enormous growth of the Internet during the last few years has spawned several new Internet Based Business activities and at the same time benefited several others. 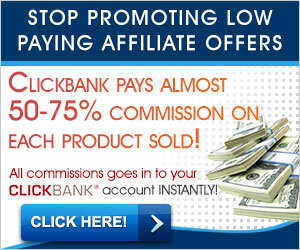 One activity that has benefited from this boom is without doubt Paid Online Surveys. Today many aspirants looking out for a Home Based Job or Work at Home Jobs often think of Paid Online Surveys first. The perception that this is a quick and easy way to earn money propels aspirants towards Paid Online surveys. Very often this is their first step in their foray into the Internet Business world. Let us see how far their presumption is correct. The main reason for the popularity is that you don’t need any special skills to do Paid online surveys. You are required to express your opinion for the questions asked or statements made. It is Your Opinion that matters. Secondly to enroll and participate you should have a computer with access to the internet. That’s it. Can there be anything simpler? Thousands of companies spend millions of dollars every year to conduct Paid Online Surveys and reward the participants by awarding them either cash, gifts, or points which could later be redeemed for cash. Identifying these companies and contacting them becomes a real hassle and takes a lot of your time and energy. There are, On the other hand organizations that have a data base of 250 to 450 companies in their network that conduct paid online surveys. It is much easier to register yourself with these paid online survey database companies and gain access to these companies by paying a one time fee of $25 to $35. Your membership will normally include tips, updates and bonuses. After registering you should now pick and choose the companies you would like to receive online surveys from, and register yourself with these companies individually. No further payment is necessary and before long you will start receiving surveys in your inbox. It is here that you have to be cautious. There are many database companies in the internet that are unreliable and are scams. There are also several companies that are reliable, dependable and customer oriented, e.g. Survey Platinum, Survey Scout, Survey Junction, Paid online Surveys and Get Cash for Surveys.You should identify and register with such paid online survey database companies. One of the reasons for the popularity of paid online surveys is that you can earn a reasonable amount of income as a work at home job. Payments vary from company to company. Generally the companies pay anything between $10 and $75 per survey. On the average a participant can earn about $25 per survey and these surveys will take about 10 to 20 minutes per survey. On the other hand substantial amounts of up to $200 per hour can be earned by participating in Focus groups which could take anything from two hours to a full day. The more number of surveys and Focus Groups you participate in, the more income you can get. If you aspire to make this a main source of income and are prepared to devote several hours a day on this, it is advisable to register with more paid online survey database companies. This way you will be able to have a better choice of companies and focus groups and ensure that your home based job is a success. Everyone loves to be heard. Everyone loves to give his opinion. Online surveys give you that great experience. Guess what? You get paid for your opinion. It gives you a chance to express your opinion on the consumer products that you use everyday. It also gives you a chance to test new products and technologies and express your sincere opinion. You soon begin to realize the intricacies of market research and enjoy viewing products from completely new angles and perspectives that you never ever knew existed. Your work at home job soon becomes a fun and rewarding job. Making tons of money or amassing great wealth by doing online surveys as a work at home job is just not possible. On the other hand it is definitely possible to get a steady reasonable income or additional income that can keep many a stay-at-home parent, student, retiree or senior citizen really happy. The pay checks that you receive on a regular basis will be an indicator of what the internet holds for you if you have a desire to Work at Home or do a Home Based Job.